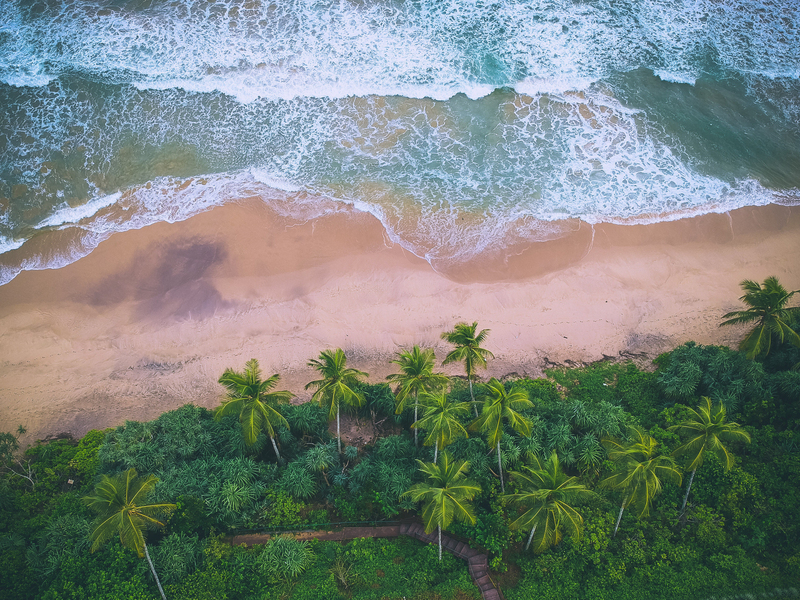 When Dedico was still at an embryonic stage, and we were still wondering if there even was an audience for a platform that combines 'travelling' with 'learning', we met Federica in remote Sri Lanka. She inspired us with her optimism. Here story, is the story behind the concept of Dedico. As such, we believe there is no better way to open our brand new blog than by sharing her story. Crossroads - an intro by Dedico. After a few years of attending and teaching workshops, Dedico was still only an idea. We just had a few sketches, a landing page and the promise of becoming a company once we were back from our vacation. We were aware that it could be our last holiday for a while before we started an uncertain future as entrepreneurs. - “I am Italian, I came here to learn”. She replied with a smile. Federica turned out to be an amazing fashion designer and surfer who confirmed our vision of people travelling around the world searching for fun, inspiration, knowledge and self-achievement. What else do you need to get inspired? 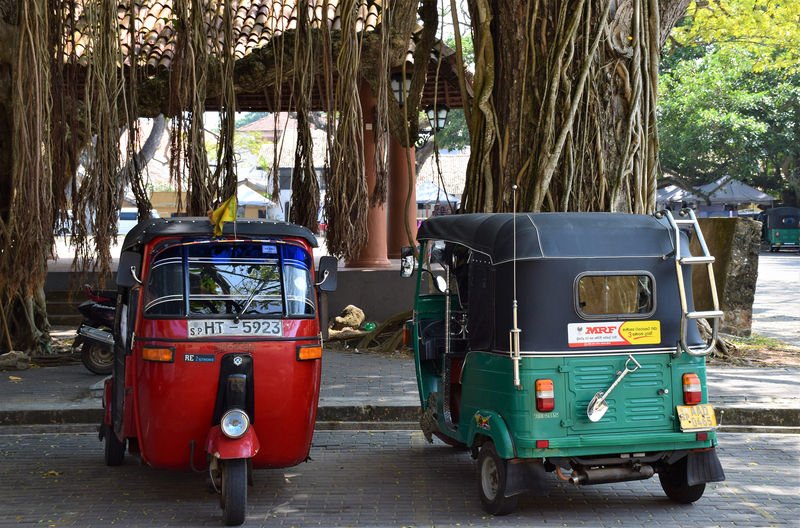 Sri Lanka is a true paradise where you can live slowly and open your mind to a very unique culture. 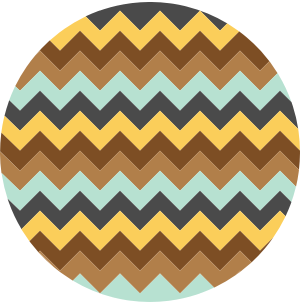 As a designer, I always felt attracted to the tropical look of certain Asian textile techniques such as silkscreen or Southern Asian Batik. 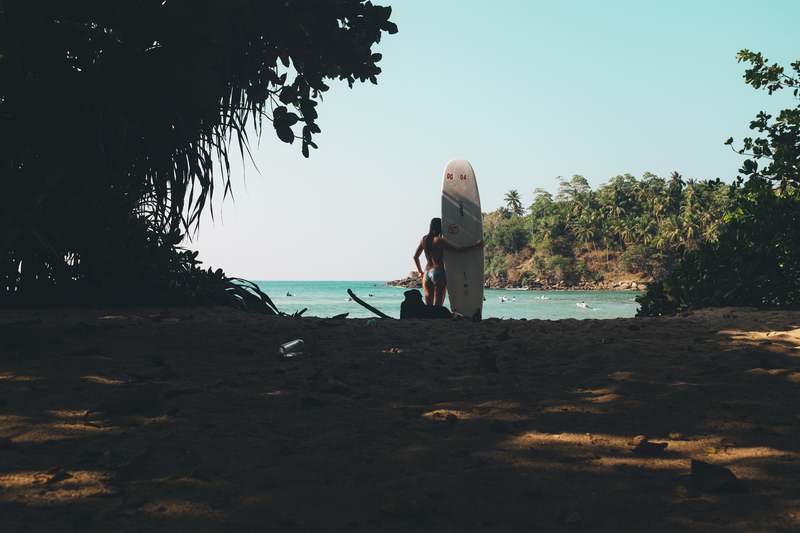 As a surfer, I always heard of Sri Lanka as a surfing destination with gentle waves and friendly vibes in the water. 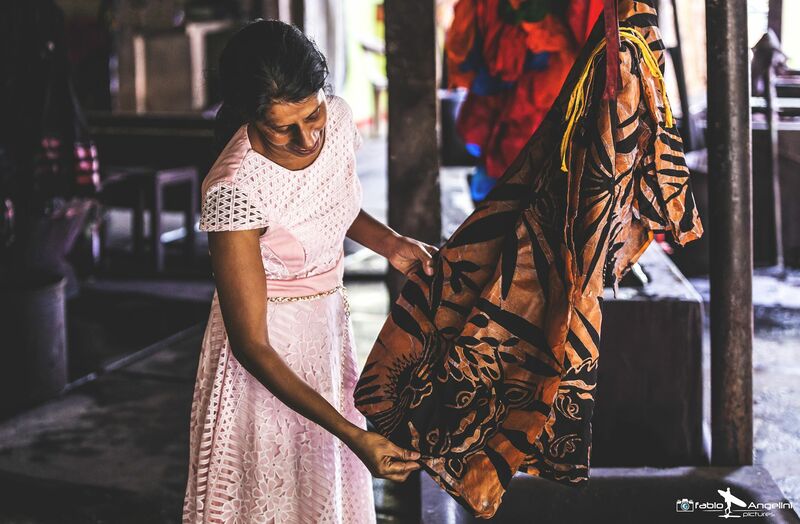 So, last February I headed to Sri Lanka to work at the Lekha Batik factory in the Matara District, on the southern coast. The results were two big pieces of Batik and a limited edition collection of bags inspired by the trip, Tropical. The trip was mainly about surfing and learning the Batik techniques at Lekha. The family running the factory (active for over 40 years) is one of the happiest workplaces I’ve ever seen. The women who work in the factory don't speak English, so we found our own way to communicate. Even though I would define our way of communication as very basic, learning from them always was a great pleasure. This is also the evidence that you can learn a lot via non-verbal communication. Early morning, perfect knee-high peeler. No crowds. One of the secret spots along the Marissa coastline. Marissa is great for spotting giant turtles. Matara is known for turtles laying their eggs. A stunning spectacle. The fishermen confessed they don't actually fish like this anymore. Tuk-tuk's are everywhere and will drop you off anywhere. For trips longer than 50km, private drivers are a great tip! 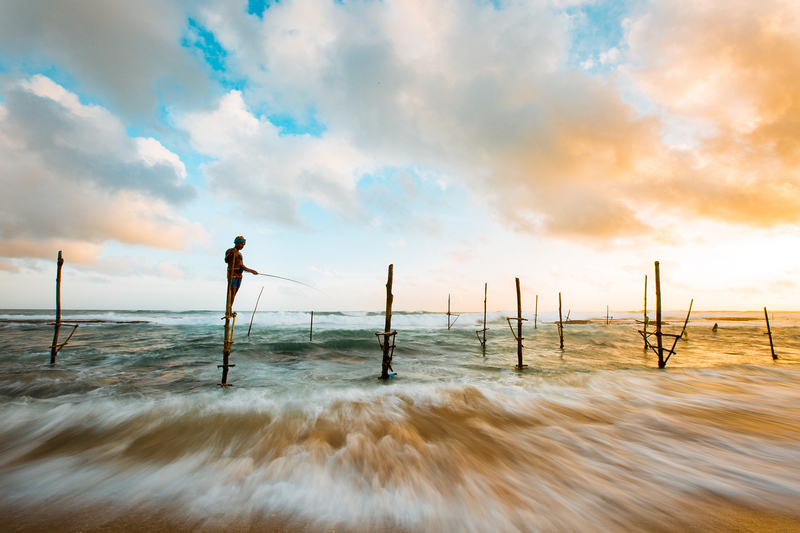 I was mainly based in Mirissa, where I was going to surf at sunrise and sunset. The morning sessions are really worth the early wake up, you will avoid the crowds, especially when searching for the many secret spots around Mirissa that I definitely shouldn't share here. 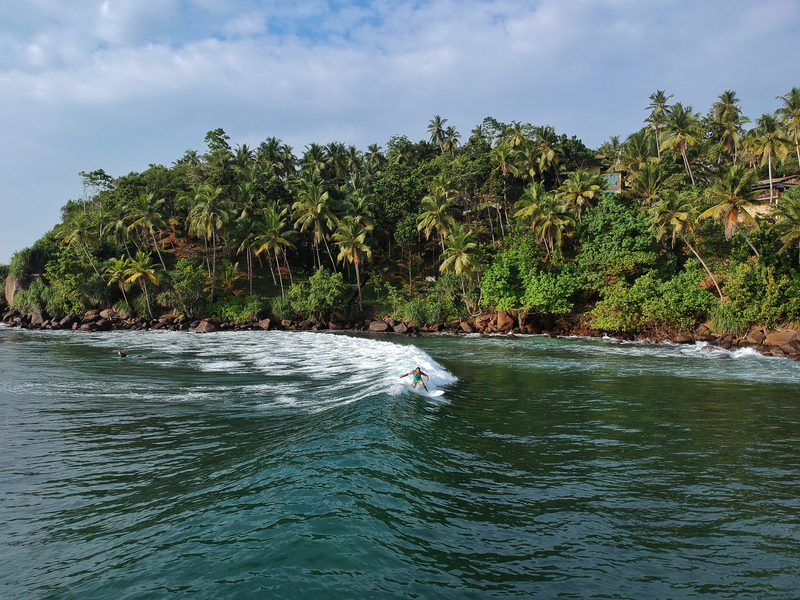 On the first days, I did my debut in the Indian Ocean over the Weligama Beach Break, but once I felt more confident, the Weligama Outer Reef was also an outstanding spot for the last session of the day. 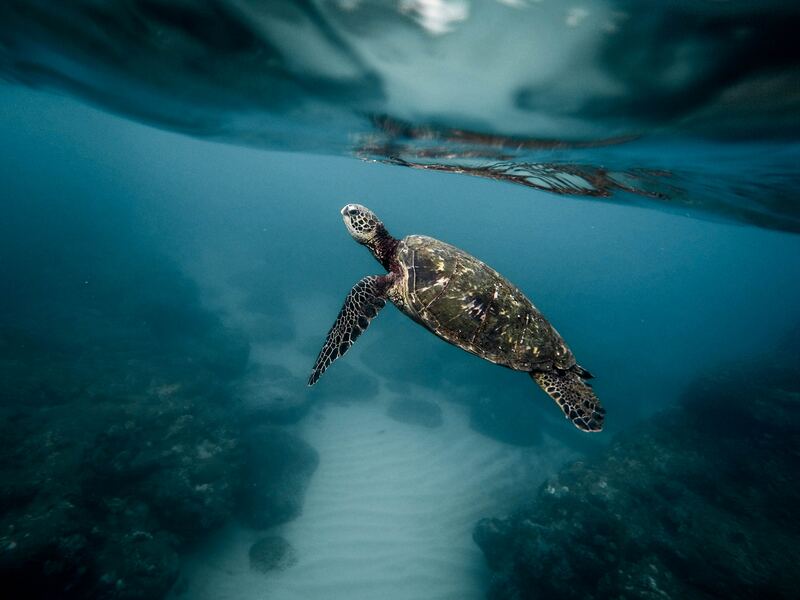 You will be able to see the sun set from the water and even if it's a coral reef bottom, the waves are so gentle that is not as dangerous as it may sound. After a big healthy breakfast with an omelet, warm bread, fresh tropical fruits and coffee, I quickly went to the surf spot. An early surf session to get energy from the Indian Ocean before going to the Batik factory. Prepared for the heat. It’s very hot inside the factory because there are stoves with boiling wax everywhere. Batik is a technique of wax-resist dyeing applied to whole cloth, or cloth made using this technique. 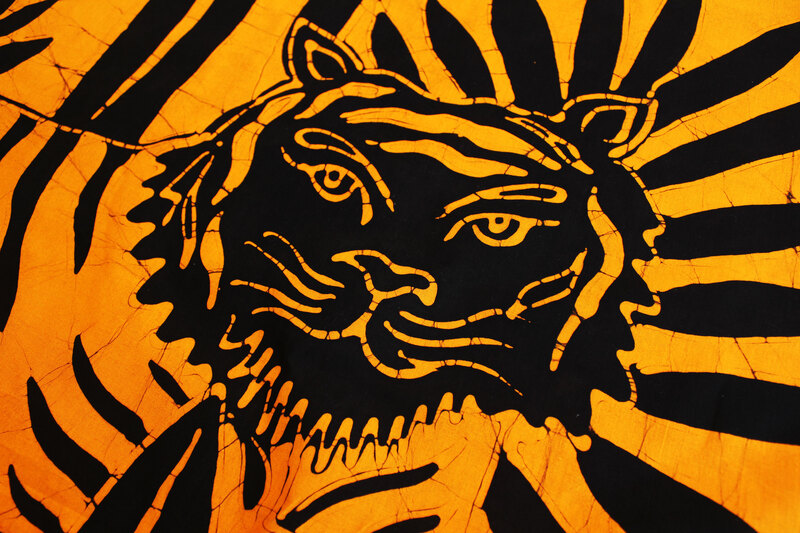 Batik is made either by drawing dots and lines of the resist with a spouted tool, called a canting, or by printing the resist with a copper stamp, called a cap. In this way, the applied wax-resists dyes allow the artisan to colour selectively by soaking the cloth in one colour, removing the wax with boiling water, and repeating if multiple colours are desired. As said before, our communication was very basic, my teacher didn't speak a word of English, it shows how much you can learn via simple nonverbal communication. My teacher didn't speak a word of English, it shows how much you can learn via simple non-verbal communication. The first day I did a small piece of fabric, scarf size, to get confidence in the technique and the hot wax. Basically, I was drawing in a negative, dipping the pencil tool in the hot liquid wax. The days after, my masters, Patma and Rohini, let me try the canting tool on a big piece I drew. Well, this did not seem to be a good idea, because you need to be fast when drawing lines. You can calibrate the flow of the canting but you can't stop it while in action. So, unfortunately, the end result was a closer resemblance to a Jackson Pollock! The day after, I started again from scratch, using the pencil tool and made the lines and details of the tropical leaves found in the garden surrounding the house. This detailed step took me 3 days of work for 2 meters of white canvas. After this, I needed to cover all the fabric I wanted to keep white with wax, both sides with a common brush. Once this process was finished I chose the colour. I did just one, but once you master the technique you can have more. Rohini runs the Batik Factory. Applying wax to the design, inspired by plants surrounding the factory. 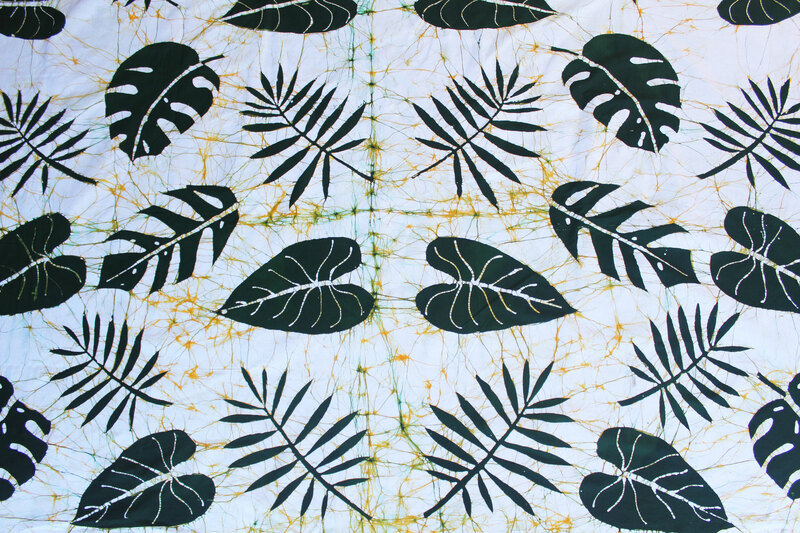 Batik with tropical leafs design. Local Batik design, hanging out to dry. The “dyeing area” is dedicated to the colouring dyeing itself. There are colour tanks (purple, green, red, yellow and black) where you put the cloth in natural/chemical colours. Purple is natural. After dyeing the cloth, you immerse it in boiling water tanks to let the wax melt. 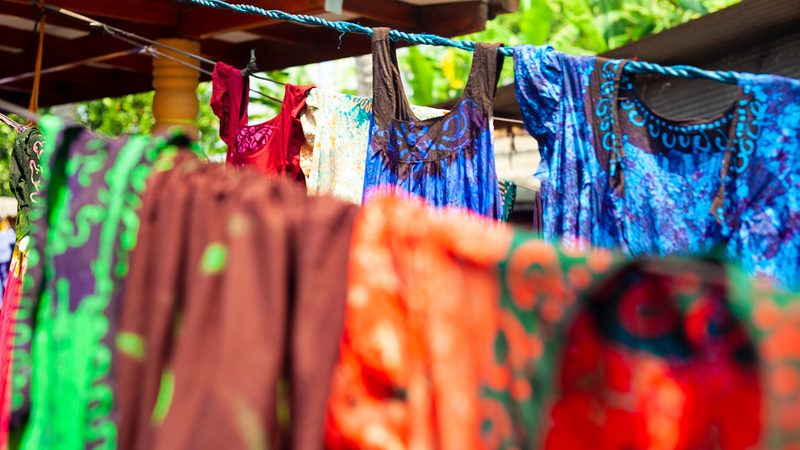 Once the wax is removed, you hang it to dry in the sun and… BAAAM! I was so impressed by the result of the first big piece that the days after I decided to make another one. 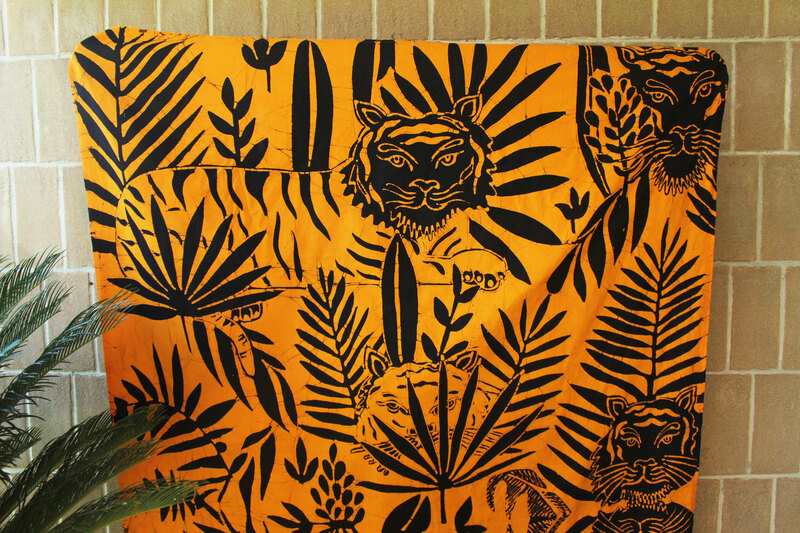 This time I added a very difficult subject to the leaves: tigers, and let Rohini, the canting master do the wax job. Those women have been doing this job for a very long time. It is incredible to watch them drawing sometimes without a base to follow (drawn with pencil on copy paper). They just have in mind what they are illustrating. In the pictures, you can see the results of this spontaneous workshop in Sri Lanka which marked the beginning of Fede Surfbags adventure on the road. After our random encounter, We are still in contact with Federica. She has now also attended a great shaping workshop where people learn to create their own surfboards. And as far as we know, she is preparing new adventures for learning one of her passions. We will definitely stay tuned with this inspiring girl. - Dedico. Federica Ubertone studied Fine Arts at the University of Rome. 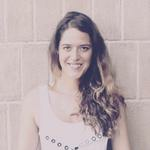 She is an enthusiastic surfer, ocean lover, founder and creative designer at 'Fede Surfbags’. Why is this worth doing? Learn directly from local master artisans. A chance to surf every day. 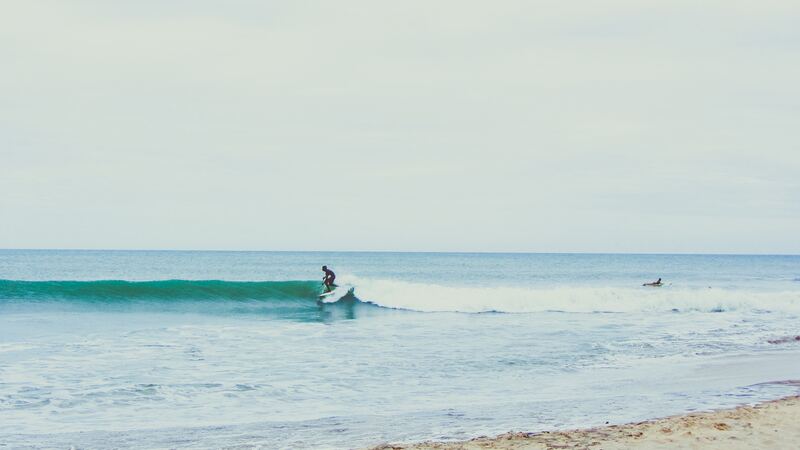 Sri Lanka is the perfect destination for an intermediate level of surfing. Spots are less crowded than Indonesia. Your spending contributes to development of the local community. Sri Lankan people are awesome.